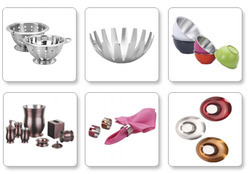 We offer the best quality martini cups that are made from high quality stainless steel. Offered in different sizes and shapes, our range is ideal for domestic use. These are available in various attractive designs, colors, material and sizes to suit the diverse preferences of our customers. We offer these cups at market leading prices.